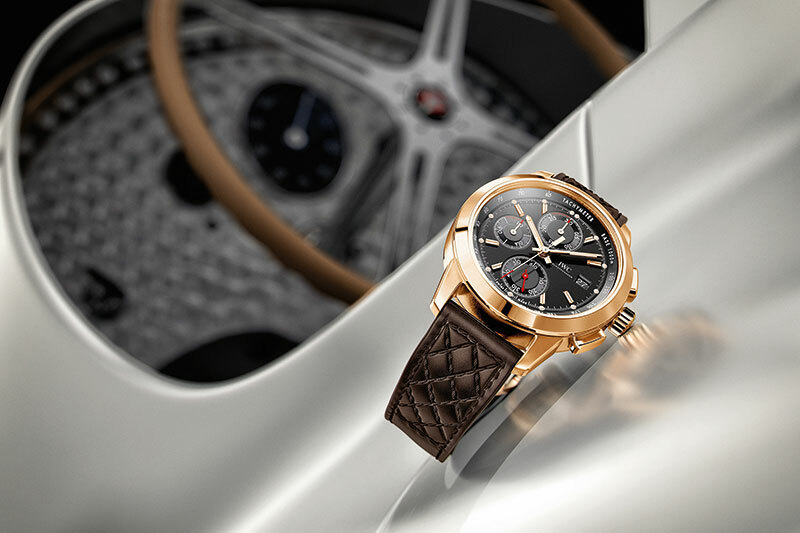 Taking its cues from classic cars, the Ingenieur Chronograph Edition “74th Members’ Meeting at Goodwood” is an ode to the historic motor sport event near the south coast of England. The solid 42-mm red-gold case gives the watch a timeless appeal while the black dial with two totalisers, small seconds and tachymeter scale evidently references a sports car dashboard while the brown calfskin strap recalls the luxurious interior of a classic motor car. Dynamic and technically excellent, the Marine Chronographe reference 5823 “200 Ans de Marine” was created to mark the bicentenary of Abraham-Louis Breguet’s appointment as chronometer maker to the navy. 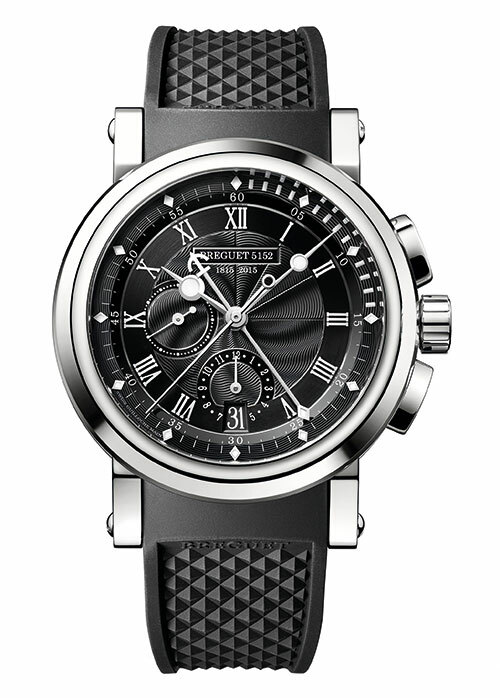 Its platinum case, along with a delicately fluted case band, envelopes a gold dial finished with a matt black surface while the brand’s signature hour and minute hands are accompanied by a chronograph second hand in the shape of an anchor. Inspired by the brand’s wildly popular ‘bag bugs’, the Momento Fendi Bugs Limited Edition is a sparkly rendition that could just be the flavour of the season. 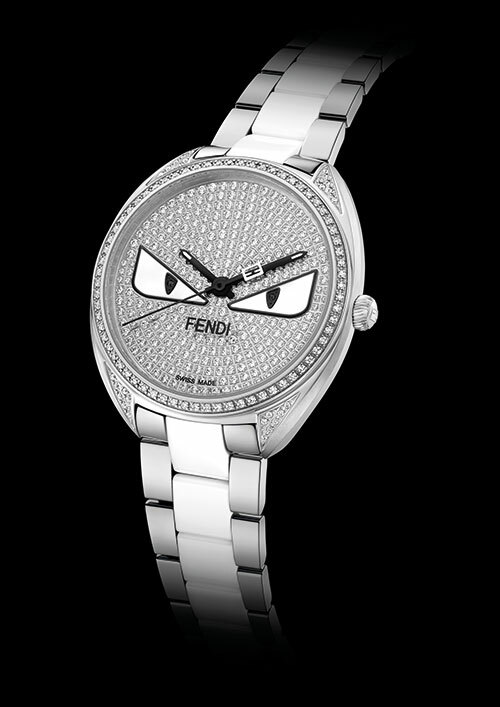 The epitome of contemporary cool, it has a dial set with 286 diamonds, and angry eyes set with two shimmering black diamonds. Each piece comes with a personal note from Silvia Venturini Fendi. Combining the processes of engraving and enamelling with the art of scarab beetle elytra marquetry, the Arceau Pocket Ailes et Ecailles is a pocket watch like none other. The lush blue cord strap and pouch are made of alligator leather, crafted using the same methods practised since the genesis of the harness and saddle maker. Ten master artisans have created reinterpretations of artworks from culturally rich countries for the Métiers d’Art Fabuleux Ornements collection. 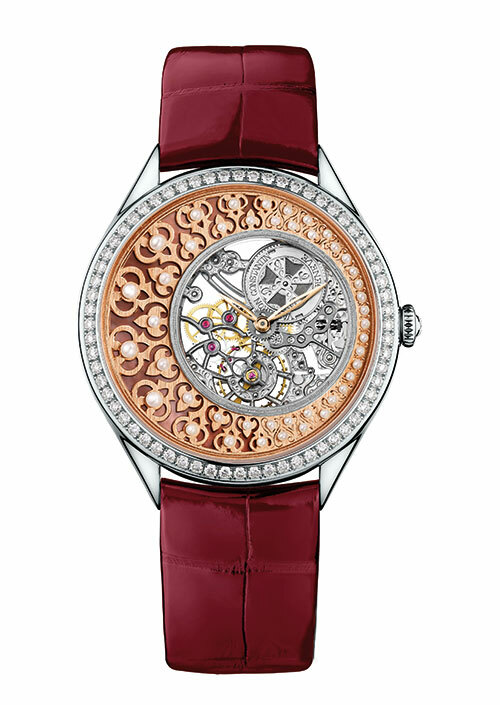 While the ‘Indian manuscript’ model employs grand feu champlevé enamelling and hand engraving, the ‘Ottoman architecture’ watch uses hand chamfering; the ‘French lacework’ version is adorned with a translucent hand-guilloche grand feu enamelled dial and the ‘Chinese embroidery’ model presents the stone cloisonné technique with jade. 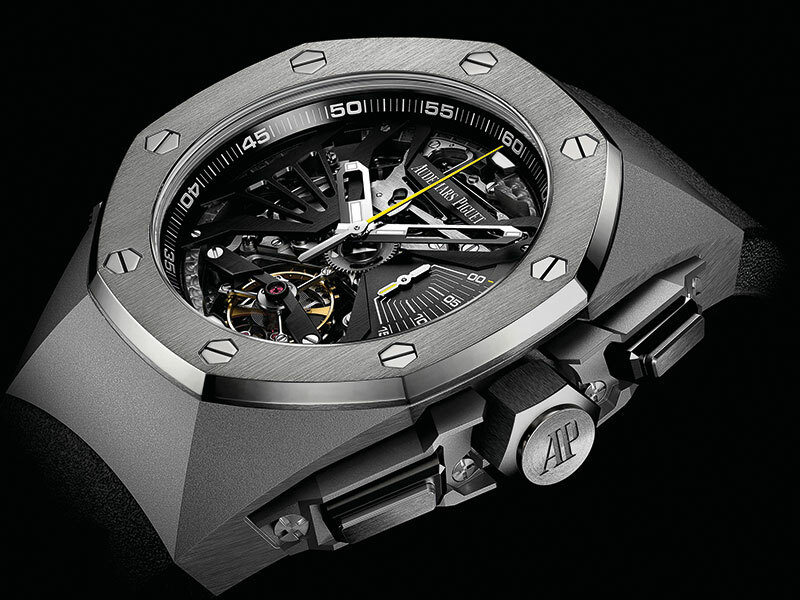 Hitting the right note is the Royal Oak Concept Supersonnerie — presented in a super light titanium case with glare-proofed sapphire crystal and an octagonal titanium bezel. The exclusive timepiece is precision-made to offer unprecedented acoustic performance, facilitated by a resonating membrane inside the case. The skeletonised satin-brushed black dial with yellow accents features a chronograph, a tourbillon and one of the clearest minute repeaters in the market. A central motif in Greek and Eastern mythology, the peony suffuses innumerable legends with its tantalising fragrance. The L.U.C XP 35 mm Esprit de Fleurier Peony not only pays tribute to the flower, but also highlights the rare ancestral technique of fleurisanne engraving. 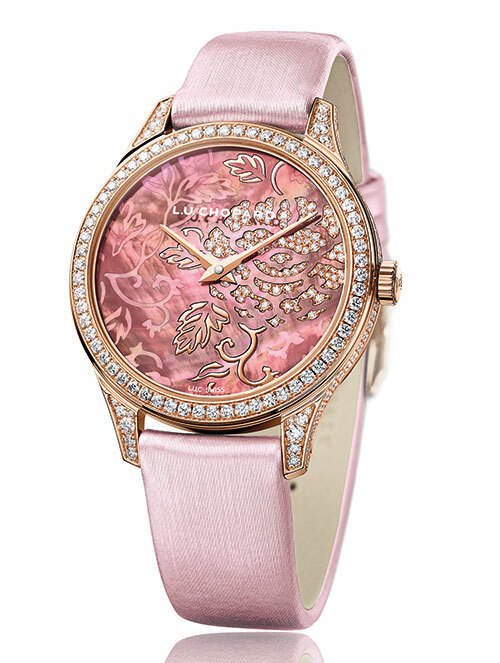 The Tahitian mother-of-pearl dial, engraved to reveal a rose-gold base, is set with diamonds and gold outlines that echo the uneven petal arrangement of the blossom. 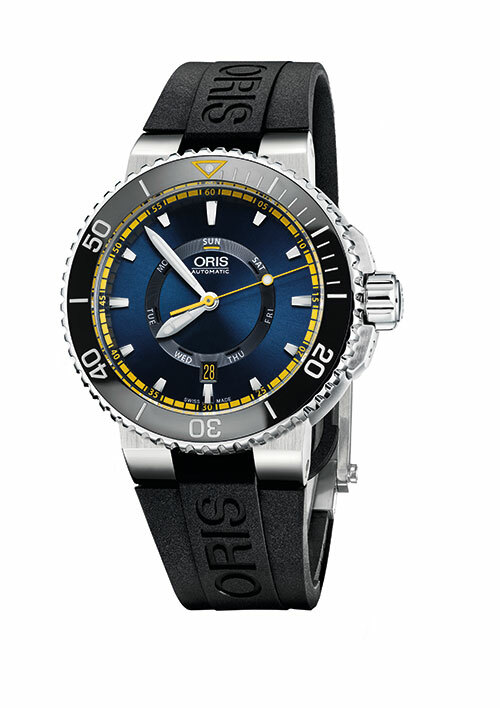 With the Great Barrier Reef Limited Edition II, the brand joins forces with the Australian Marine Conservation Society (AMCS) for the second time, to help protect and preserve the world’s largest reef system. Water-resistant till 500 metres, it features a unidirectional rotating bezel inlay made of black polished ceramic — a scratch-resistant, non-corrosive material that the brand first pioneered with its diving watches years ago. The Excalibur Quatuor FFF Racing Team timepiece comes right in time for the year’s Super GT racing season. Pink-gold accents create a remarkable contrast against charcoal rhodium-plated finishing and a black DLC titanium case while the dial sports the FFF logo at 12 o’clock. 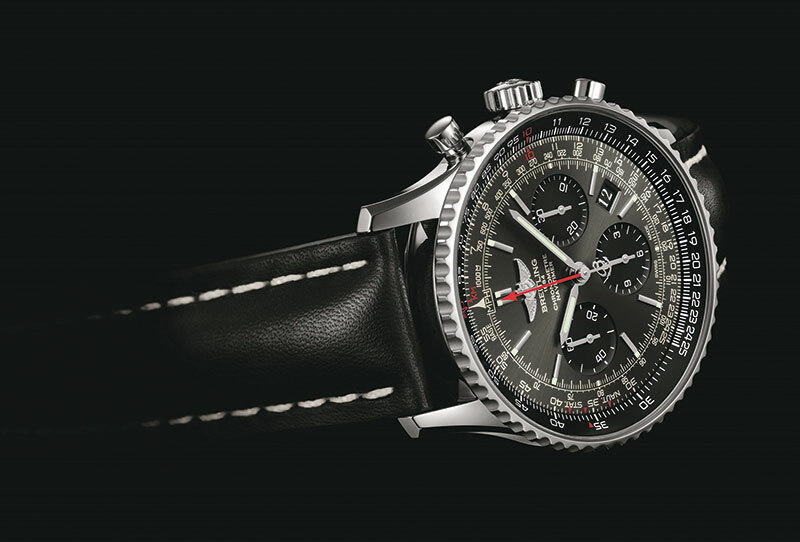 Distinguished by a dark grey dial with a sunburst finish that subtly offsets the black counters, the Navitimer 01 Limited Edition is a slick new version of a flagship timepiece with a cult following. 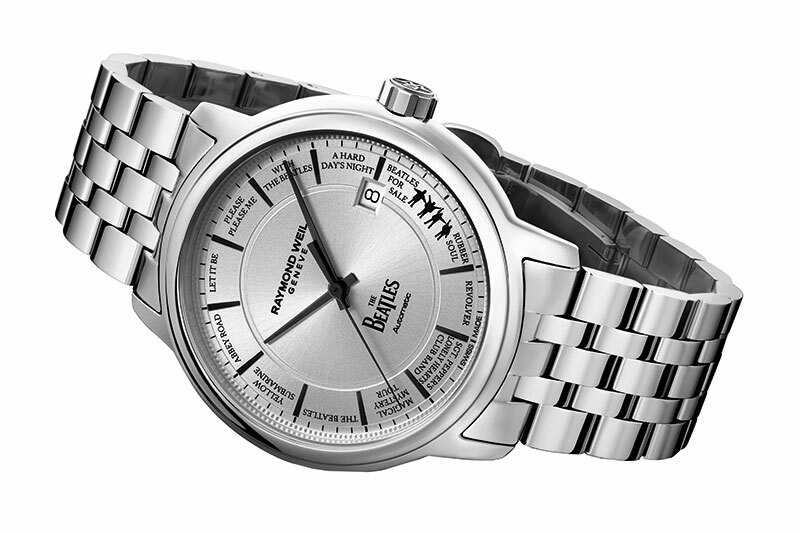 The par epargne technique is used against a pure silver backdrop, while the famous circular aviation slide rule on the dial side reflects the brand’s ties with the aeronautical world. 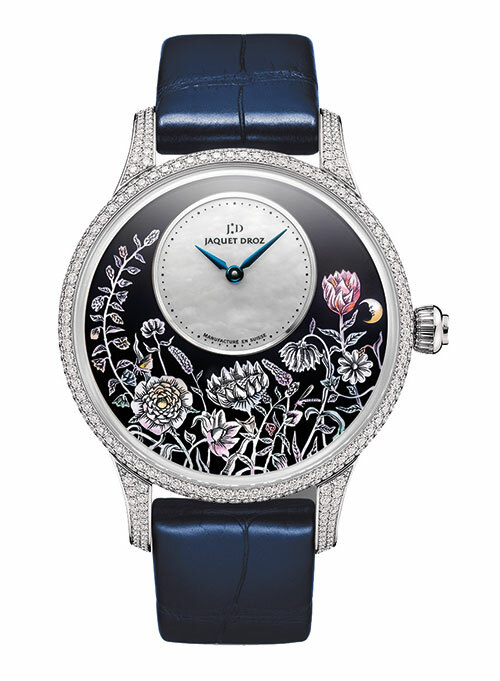 The elaborate Petite Heure Minute Thousand Year Lights showcases the skills of enamelling, miniature painting, realistic sculpting and engraving through a floral landscape involving mother-of-pearl-encrusted lacquer inspired by the Najeon Chilgi method. 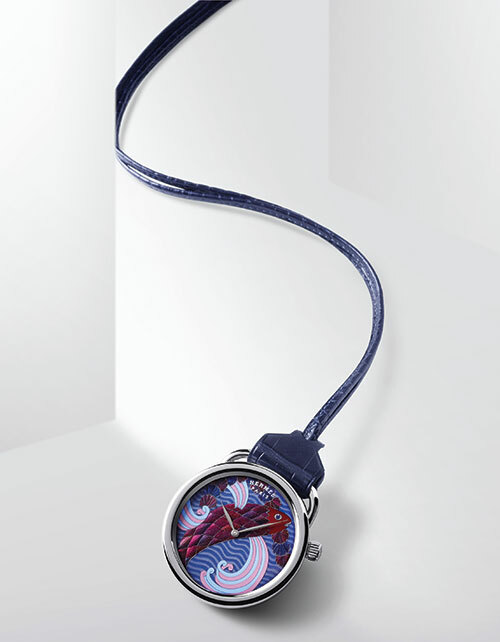 Presented on a black or deep blue alligator leather strap, the watch is available in five versions, in generous red- or white-gold cases, set with or without diamonds. 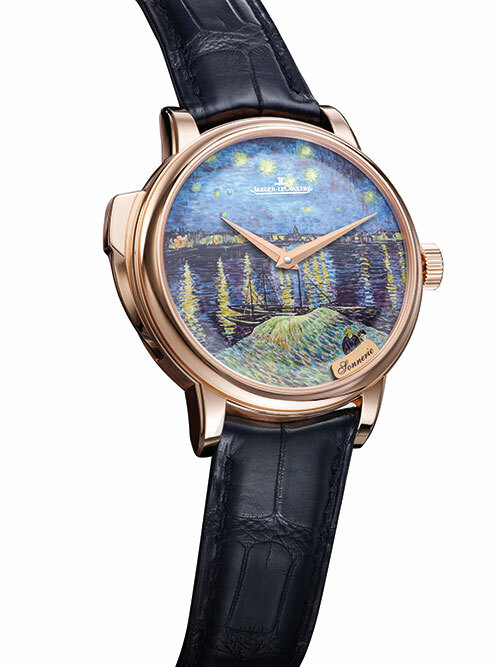 The Master Grande Tradition à Répétition flaunts a miniature painting on its dial, paying a stirring homage to Van Gogh’s Starry Night over the Rhône, represented in all its intensity through the technique of grand feu enamelling. 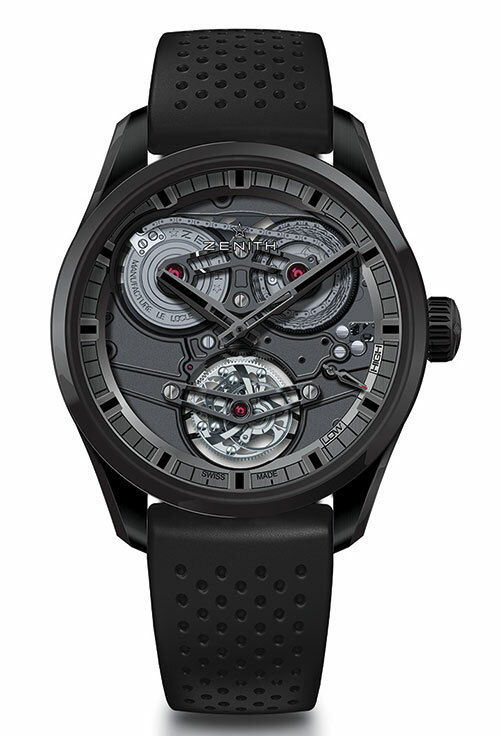 Complementing the visual feast is the rich sound of the minute repeater, which employs trebuchet hammers and crystal gongs, and a user-friendly push-button. 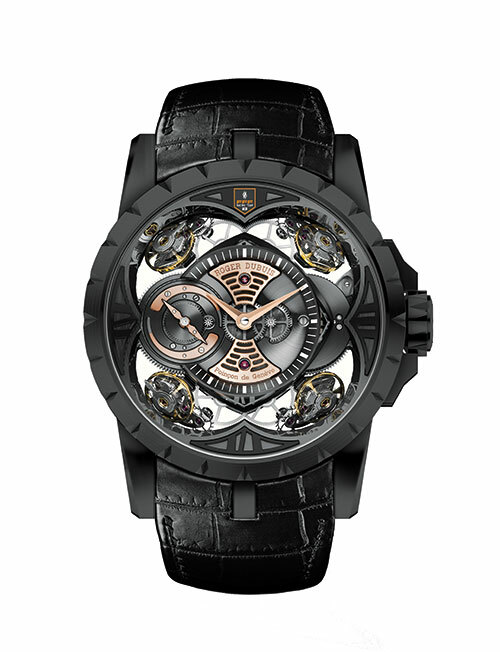 The Academy Tourbillon Georges Favre-Jacot expertly combines a tourbillon with a fusee and chain transmission system, within a stunning 45-mm black ceramic case. The star attraction, however, is the dial-free watch face which presents the perfect view of the El Primero Calibre 4805 movement’s mechanisms and powerful architecture. The central hour and minute functions are shown on a ring swept over by luminescent black faceted hands and hour markers, while the more-than-50-hour power reserve is displayed between 4 and 5 o’clock. Toasting its 40th anniversary, the brand has created a stunning keepsake. The Maestro Beatles Limited Edition features the names of the band’s 13 album titles around a bespoke dial, with an illustration at 4 o’clock that recalls the cover of their fifth studio album. 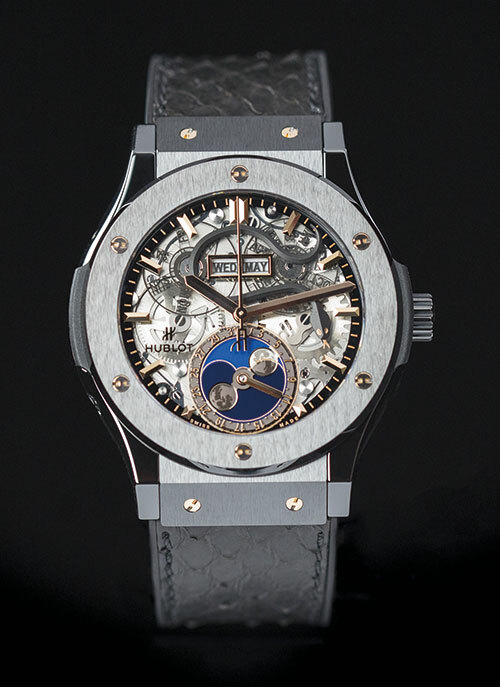 Each timepiece is presented in a dedicated case adorned with a visual of a drum flaunting the band’s official logo. 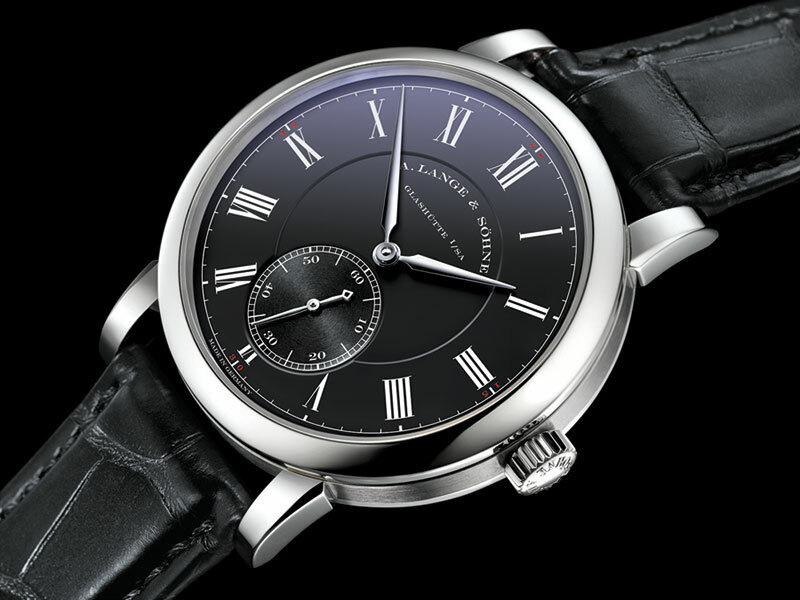 White Roman numerals and rhodium gold hands contrast well against the black dial of the newest Richard Lange ‘Pour le Mérite’, whose 40.5-mm case is rendered in white gold for the first time. Although the dial shows only the hours, minutes and seconds, the highly decorated movement on the reverse flaunts a fusee-and-chain system that ensures constant torque and outstanding accuracy. Giving a subtle shout-out to the iconic basketball player’s jersey number with the availability of pieces, the Classic Fusion Kobe Bryant HeroVillain evokes an urbane aesthetic. The ceramic black-and-gold watch also features 18-carat rose-gold appliques and a striking black mamba snake figurine on the dial. Marking the 60th birthday of the brand’s elegant 1956 timepiece, the new version of the Ladybird is distinguished by luminous contrasts revealing a delicate foliage motif. 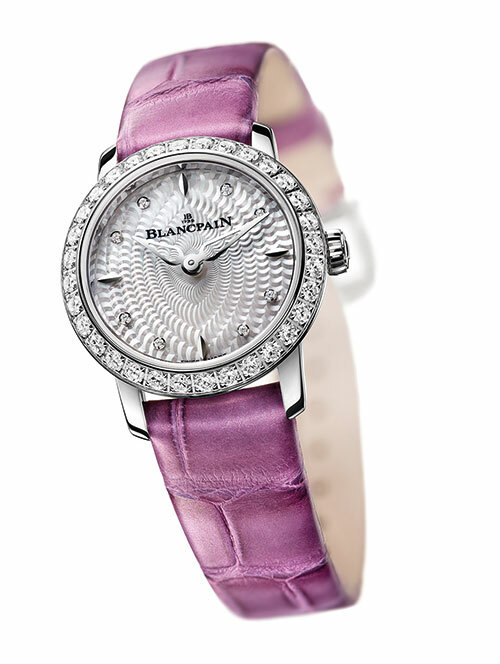 In addition to a bezel set with 32 diamonds and a dial with eight diamonds swept over by drop-shaped hands, the feminine model also has a strap fashioned in Louisiana alligator leather with particularly fine scale. 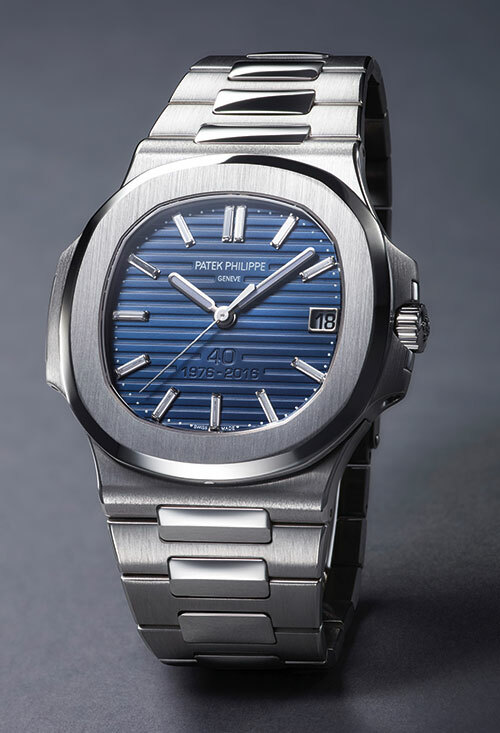 The 40th anniversary of the esteemed Nautilus watch couldn’t have been celebrated in a more refined way than with the Nautilus ref. 5711/1P. Its platinum case and bracelet immediately set it apart, with baguette-cut diamond hour markers making it even more exclusive. And for those who thought it couldn’t get any better, the watch comes in a ruggedly classy vintage cork box.